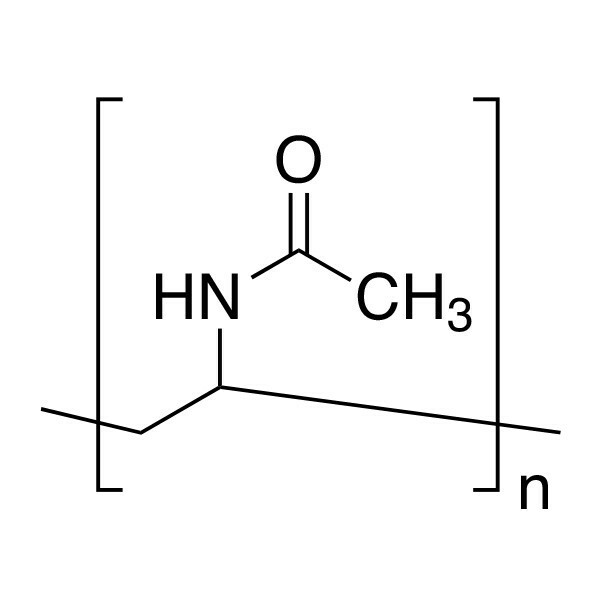 Poly(N-vinyl acetamide) | Polysciences, Inc. Linear homopolymer of N-vinyl acetamide (NVA) monomer. Unlike many polyvinylpyrrolidones (PVPs), it offers greater viscosity stability at higher temperatures and in the presence of salts such as sodium chloride. Unlike sodium polyacrylates, Poly(N-vinyl acetamide) maintains stability as a function of pH over a wide range from about pH 2-14. This product is available in convenient protective foil packages for laboratory scale and also in bulk quantities for larger projects. Call for custom quotations on large orders.